Colloquium on the ITER-CODAC "Plant Control Design Handbook"
Bringing together over a hundred participants from industry and associations, the ITER-CODAC meeting, held 27-28 October 2008, had 3 primary purposes: firstly to discuss and get feedback on the "Plant Control Design Handbook" (PCDH) which had just appeared in its first official release. Secondly, to present the procurement strategy and to discuss how to tackle it: how we can help in the specifications for international tender actions and how we act in this arena. Lastly, this event also offered the opportunity for networking. 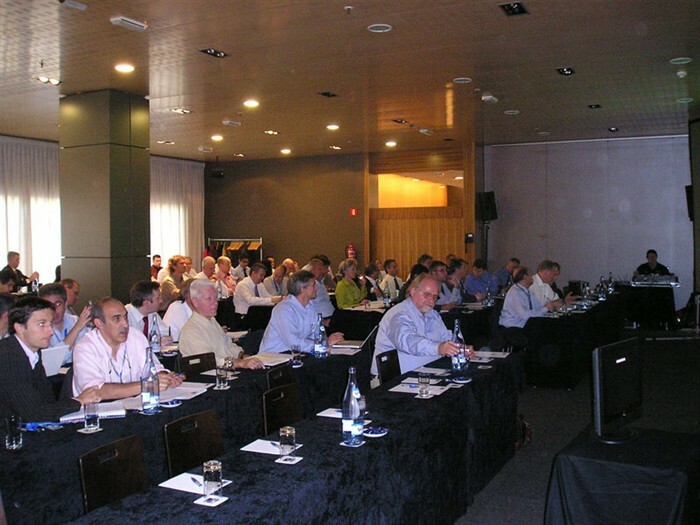 Fusion for Energy organised this meeting in order to offer constructive criticism of the PCDH to the ITER International Organisation and to encourage those who are involved in building the plant systems to contribute to this process. During the first day of the meeting a presentation on the PCDH was given by ITER-IO which was followed by a discussion. The afternoon saw working group sessions on procurement, software and hardware issues. On the second day, F4E presented its procurement strategy and four case studies: the EU procurement on ITER Remote Handling packages; examples of ITER CODAC requirements for diagnostics; the ITER cryogenic system; and the ITER Neutral Beam injectors. The meeting was concluded with summary presentations from the working groups. The procurement session summary outlined the planned actions for 2009, which include a web-based industry database, the creation of a business intelligence group and the launch of a policy for innovative SMEs. The software working group summarised their discussions with the messages that it is necessary to use existing open standards, to ensure that the tools are in available even if CODAC does not exist yet and that ITER solutions has the opportunity to become standard in the fusion community. The working group dealing with hardware issues outlined what they would like to see included in the PCDH document - for example, specific EMC standards, guidance in how to handle proven industrial solutions and to ensure that all EU suppliers get the same best price for chosen components. Feedback from the meeting was very positive - the evaluation showed the meeting participants welcomed the opportunity to comment and discuss.